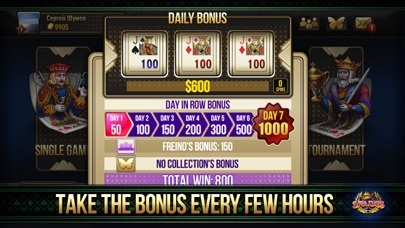 Spades - King of Spades is a free version of classic card game for iOS! 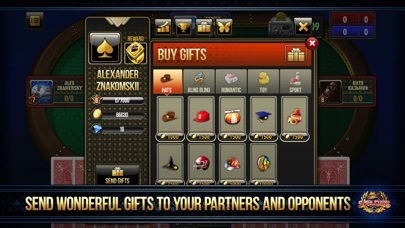 Features: - play Spades online with your friends or random opponents - single player mode against smart AI opponent, when you are offline - six themed tables with awesome design - win Spades rings and receive rewards - complete quests, get special items, collect rewards for full item sets - send wonderful gifts to your partners and opponents - reach the highest level of mastery and become the real King of Spades - win the tournaments and climb the leaderboard - suicide, whiz and solo spades modes will be unlocked after Xmas - take the bonus every few hours Just download Spades - King of Spades and put on the crown of master. 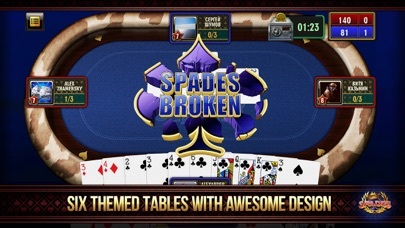 If you’re looking for a good spades game, keep looking. AI is crap and animations are annoying. Played and deleted instantly. Whoever wrote this game is worst spades player ever. 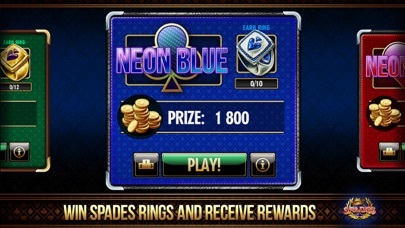 Much better than other Spades games I've played. 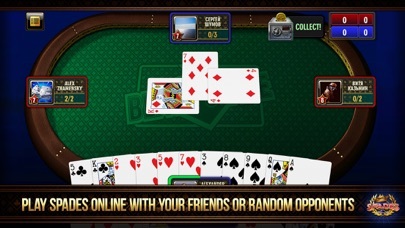 Don't like the double tap needed to play the hand or the next game. As noted by others, as of a few weeks ago there are no players, and no way to contact the apparently clueless developer. Used to love this game, but a few weeks ago (after I purchased coins), it hasn’t worked correctly! Shows only a handful of players online (or none at all), and hasn’t let me play a game since! PLEASE FIX!!! !